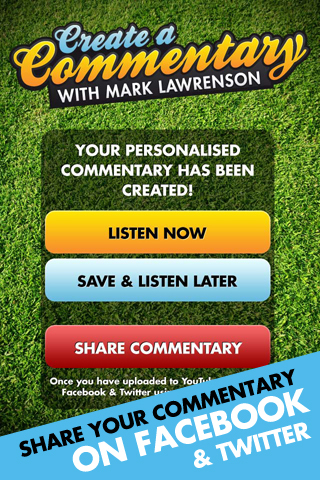 Over the past few months we have been mentioning an iPhone app that we have been working on with Bespoke Radio. We haven’t been able to speak about the what the app is, or who is involved, until now. The options lead to literally billions of possibly commentaries – each of them different. The finishing touches are being applied to the app, and we hope to submit it to the app store sometime in the next week or so. 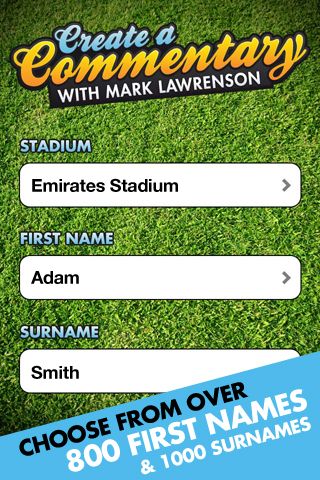 The official launch party for the app will be held at Shearer’s Bar in Newcastle on the 30th of August. 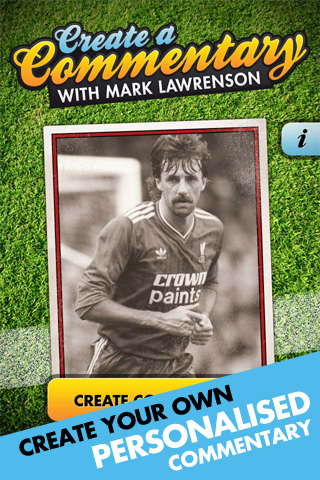 There will be the world premier of the app followed by a Talk In with Mick Lowes and Mark Lawrenson and your chance to meet the BBC Newcastle NUFC commentator and Match of the Day summariser afterwards. You can seen some screenshots below, as well as the chance to hear some commentary from the app. For more information you can visit www.createacommentary.com.